It's no secret that Maine Mendoza is just like us when it comes to fangirling. 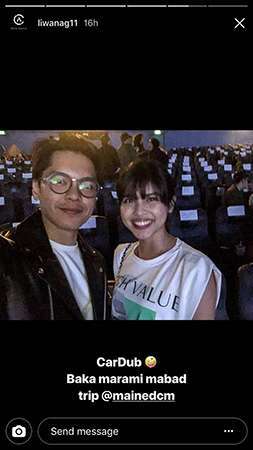 From her love for Coldplay and Selena Gomez, Maine went on to obsess over the OG crush of our youth: Carlo Aquino. 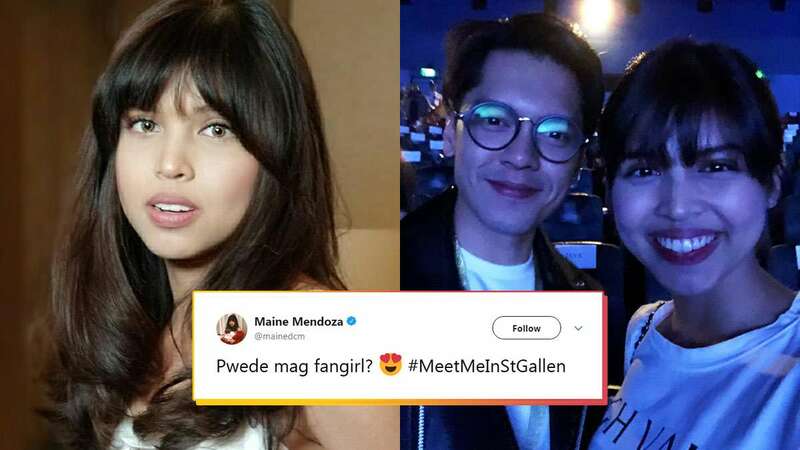 Maine supported her Destined To Be Yours director Irene Villamor during the premiere night of Meet Me In St. Gallen, which stars Carlo and Bela Padilla. Our girl Maine couldn't help but take a selfie with Carlo, and TBH, who wouldn't?! Writing on Twitter, she said: "Pwede mag-fangirl?"